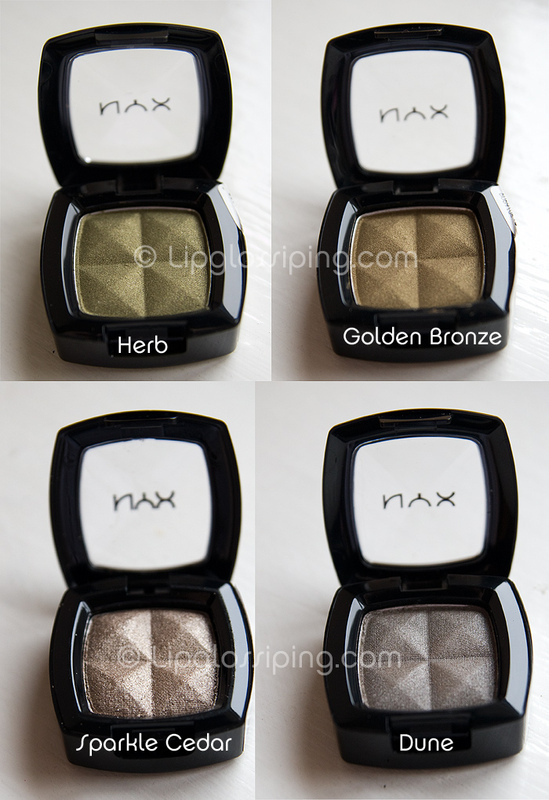 My latest NYX eye shadow acquisitions for your viewing pleasure! Sparkle Cedar is a weird one, it really is as ‘gritty’ as it appears in the photo. It’s the only disappointment in the bunch though. 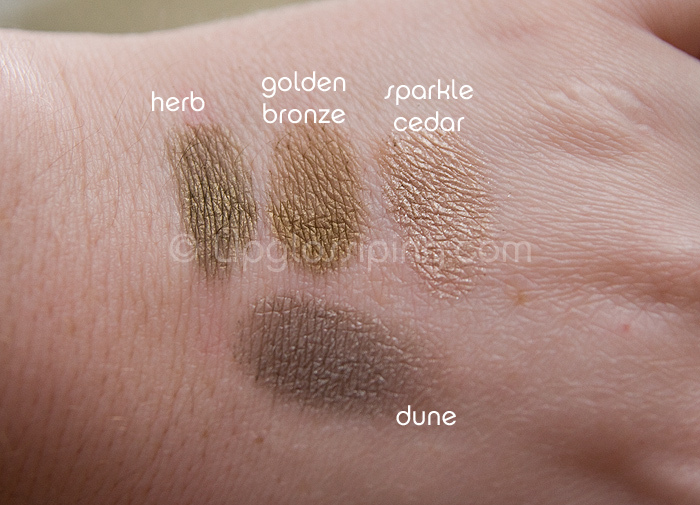 These are such great value for money, but I’m a bit NYX’ed out now and can’t decide if I want any more… Have you made any NYX purchases recently? Re-inspire me to buy some more! I ordered two NYX Runway palettes around New Year, haven’t got them in my hands yet but they have been delivered. Also got a round lipstick and a round lipgloss (Sorbet, because I saw it on here and it looked lovely!). They will be up on my blog as soon as I get them here. What lovely names they all have! Where do you buy your NYX stuff? i only have one nyx trio palette..can’t really remember what it’s called..but i wouldn’t say they were very pigmented.. I love NYX for quality and affordability, but I haven’t made any purchases as of late. There’s so much to try but… errr… I really don’t know what holding me back. All of the colors look very useful. All of the colors look very useful. Too bad about Sparkle Cedar.